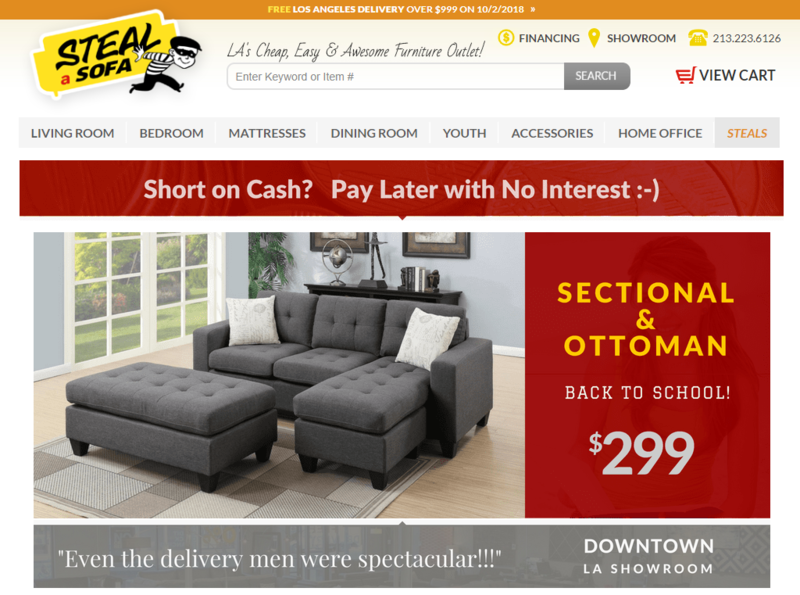 Steal-A-Sofa is a family owned furniture store located in Los Angeles, California. 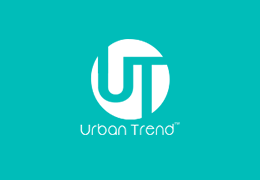 It was founded in 2010 as Your Furniture Now by Michael and Mary Liberman. The inspiration to start the company came from the couple's furniture buying adventures together. Buying a furniture product can be time-consuming, expensive, and confusing. 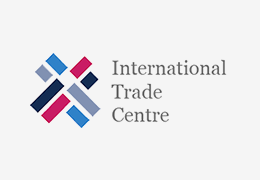 Because professional people do not have the time to shop around at numerous furniture stores, visit shopping malls, find the perfect furniture that suits the needs, and most importantly getting a furniture at a value price. Plus, consumers don't want to wait weeks for the furniture that they ordered to be delivered while they live in an empty home. 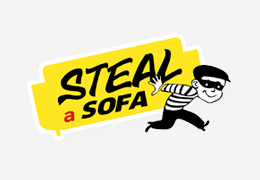 Steal-a-Sofa is not just about selling sofas. 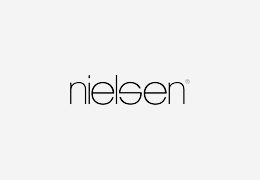 They have a rich product line available on their online store and physical store. 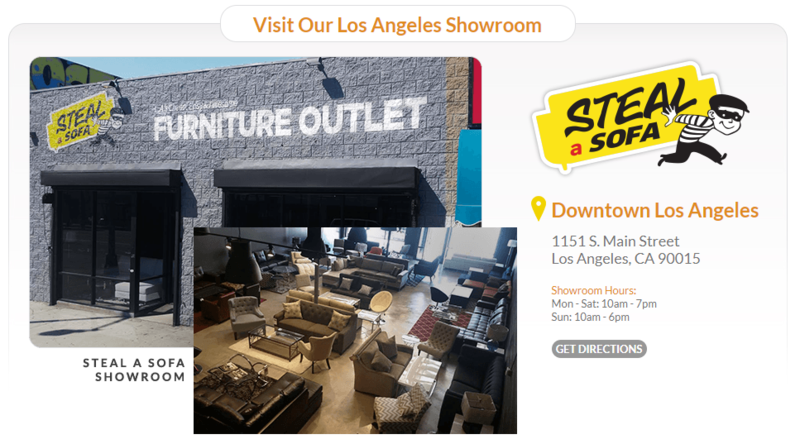 Customers can shop for furniture products and accessories for their bedroom, living room, dining room, and home office. 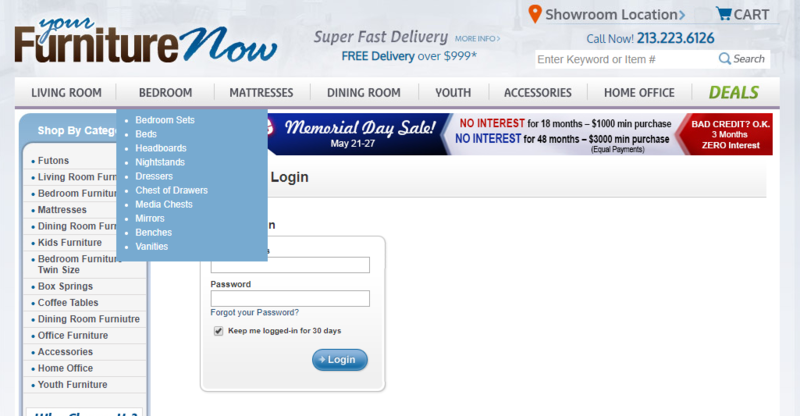 Michael was already running his e-commerce site on (http://www.yourfurniturenow.com/). 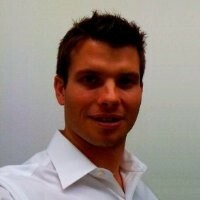 But, now he decided to migrate his online store to a new address (http://www.stealasofa.com/) and a new e-commerce platform, Shopify. Whenever businesses are migrating their online store or upgrading or changing their platform, it is very important to make sure that your product information, SEO, and other content work as smoothly as possible. The migration process can be complicated if you have large sets of SKUs with multiple product attributes. There are images, text description, variable options, multi-lingual content, meta information, categories etc. Product Information Management (or PIM) system plays a very important role here in managing a bulk amount of product data and syncing it to different channels. Akeneo is one of the best PIM available today that allows you to manage your online catalog for different e-commerce platforms, mobile apps, POS systems, and printing catalog. Michael was using Akeneo Community edition and installed the Shopify Akeneo Connector module. With this module, you can connect and transfer your product data from Akeneo to Shopify. Namespace - A category or container that differentiates your metadata from other metafields. Key - The name of the metafield. Value - The content of the metafield. In most cases, the value is what will be displayed on the storefront or used by the app. "I sell furniture and we have many attributes for each product - sometimes as many as 50. My goal is to export all of a product's attributes in Akeneo to Shopify. I wish to accomplish this through the use of Shopify's meta fields." The customization requirement was explained to the developer and was done in a day's time. 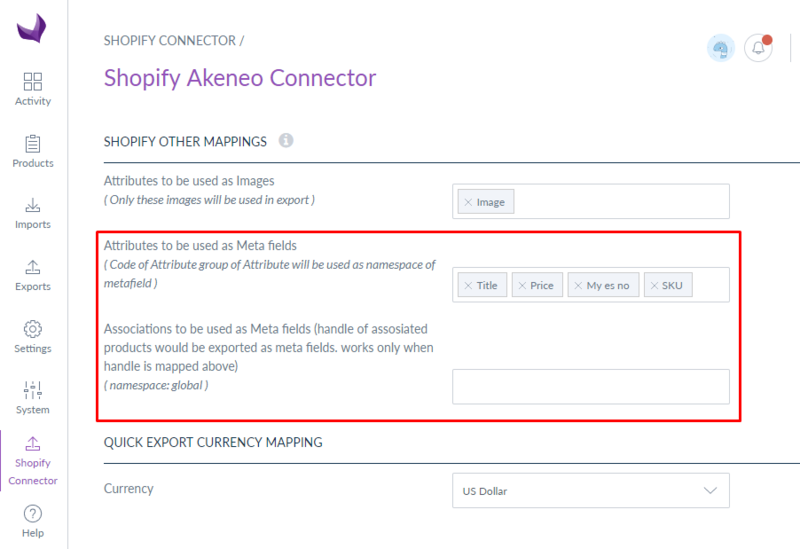 Now, metafields can be synced to Shopify from Akeneo. The method was to first create the required attributes with the attribute group. Then, select those attributes in the module settings for mapping. On June 26, 2018, Akeneo released a newer version of its platform Akeneo PIM 2.3. There were many improvements in managing products with variants, PAM enhancements, and a new catalog monitoring dashboard. Michael upgraded its Akeneo PIM with the latest stable version of Akeneo Community Edition - v2.3.1. He asked whether Shopify Akeneo Connector was compatible or not. Our developers and QA tested the module with the latest Akeneo version and confirmed its successful compatibility. 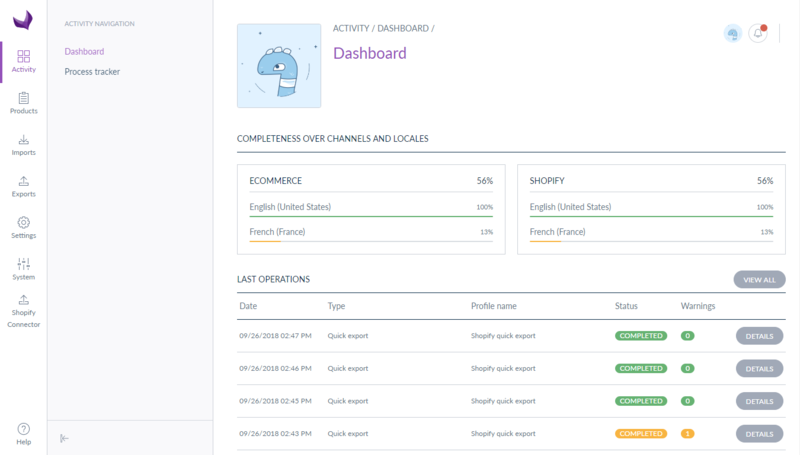 After checking the functionality of Shopify Akeneo integration, Michael wanted to set up Akeneo in production environment along with Shopify connection. Also, HTTPS was required to be enabled for allowing transferring of product images to Shopify. Further, backups of Akeneo database was needed to be set up for seven days, four weeks, and four months. Backup scripts were configured were scheduled for daily, weekly, and monthly maintenance. Backups for Akeneo files and MYSQL database was created and cron job was set up. - Export specified attributes as named tags (attribute types are simple select, number, price). - Customize the image export so that full resolution images will be uploaded to Shopify via URL. 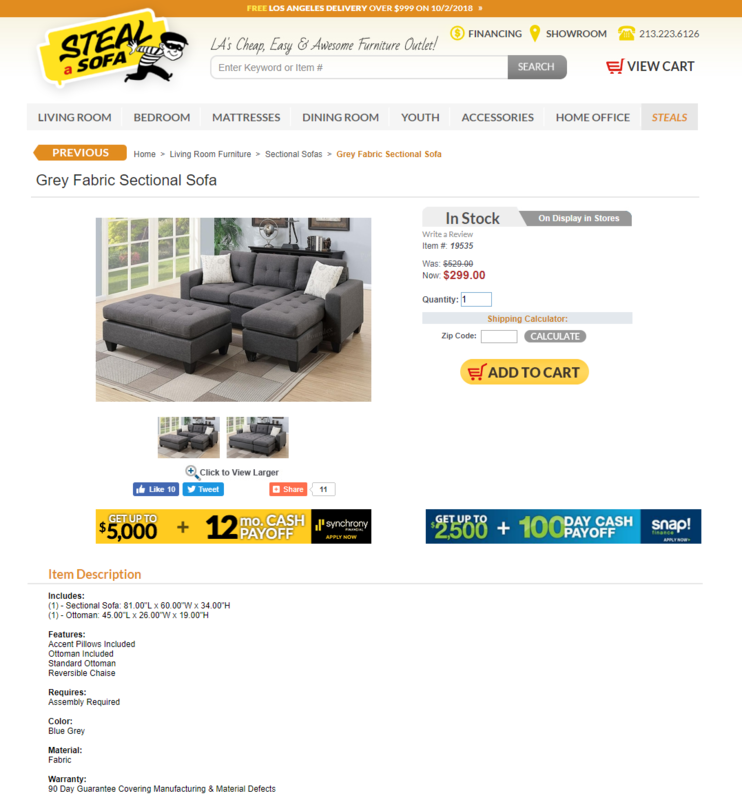 As the source code is completely open, our developers made the changes according to requirements and built customized Shopify Akeneo Connector module for Steal-a-Sofa online store. Now, the original full-resolution images were exported to Shopify store from Akeneo. Mapping for Associations to be used as Meta Fields was added in the module configuration. Select Group Code in Tags option was created. Enable/disable setting provided in another setting tab for exporting specified attributes as named tags. Checkbox settings were provided for concatenating multiple attributes in front of the attribute mapping. "Thank you for installing the modifications. Overall, I'm very impressed with your team's ability to make my customizations easy to use. I also understand that bugs are completely normal when software is customized. " How Webkul Products are Holding a Global Impact on eCommerce!